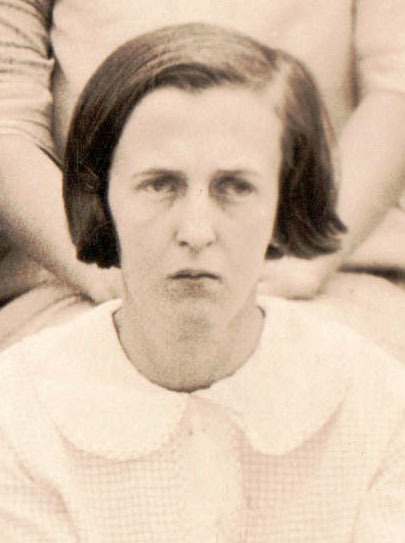 Pauline Stallings, 8th grade, April 1925. 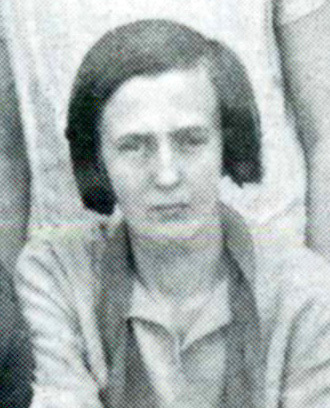 Pauline Stallings, Mont Amoena sophomore, 6 May 1926. CONCORD Esther Pauline Stallings, 94, went home to be with the Lord, Tuesday, Jan. 16, 2001. She was a resident of Saint Andrews Living Center in Concord. Born May 3, 1906 in Harrisburg, NC, she was the daughter of the late Paul Stallings and Esther Litaker Stallings. Pauline was a homemaker, she attended Cabarrus County Schools, Mont Amoena School in Mount Pleasant and Davenport College. Pauline was a lifelong member of Rocky Ridge Methodist Church. She was a loving and caring daughter, sister, and aunt. Pauline enjoyed doing and making things for those she loved. Pauline was preceded in death by her parents, Paul and Esther Stallings, a brother, Ernest Stallings and sisters, Frances Stallings, Laura Virginia Ross, Margaret Mowrer, Mae Townsend and Pearl Kidd. This loving and caring lady will be missed by her sister Edith Stallings Bickett of Spencer, brother, Joe Matthew Stallings of Harrisburg, nieces and nephews, Margaret Ann Stallings of Harrisburg, Sylvia Butler of Salisbury, Janis McMullen of Wake Forest, Marshall Bickett of Lexington, Frank Mowrer of Concord, John Mowrer of Sparta, Ernestine Ferrell of Charlotte; and special cousins, Ray and Mary Cochrane of Concord. Pauline will also be missed by the staff and residents of Saint Andrews Living Center, where she made her home for over three years. Services will be at 3 PM Friday, Jan. 19 at Wilkinson Funeral Home Chapel. The Rev. Charles Guy and the Rev. Bill Sartin will officiate. Burial will be at Rocky River Presbyterian Church Cemetery following the service. The family will receive friends on Friday from 2 to 3 PM at Wilkinson Funeral Home. Memorials may be made to Rocky Ridge United Methodist Church, 1428 Old Charlotte Rd., Concord, NC and to Saint Andrews Living Center, 246 Cabarrus Ave. West, Concord, NC.